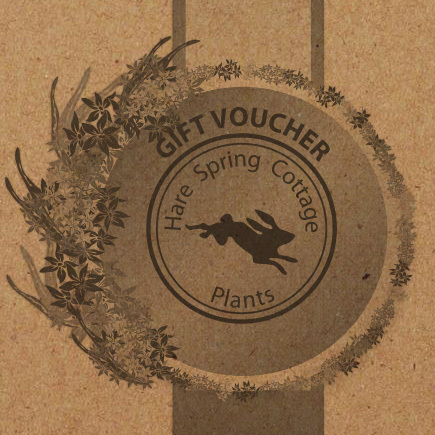 A Gift Voucher from Hare Spring Cottage Plants could be the perfect present for a gardening enthusiast. They can be redeemed online when buying plants or can be used to purchase plants from us at the many shows we attend (see current list of EVENTS). All Gift Vouchers are sent with a card and a message of your choice can be included if you wish.They are valid for a period of 2 years from the date of issue.